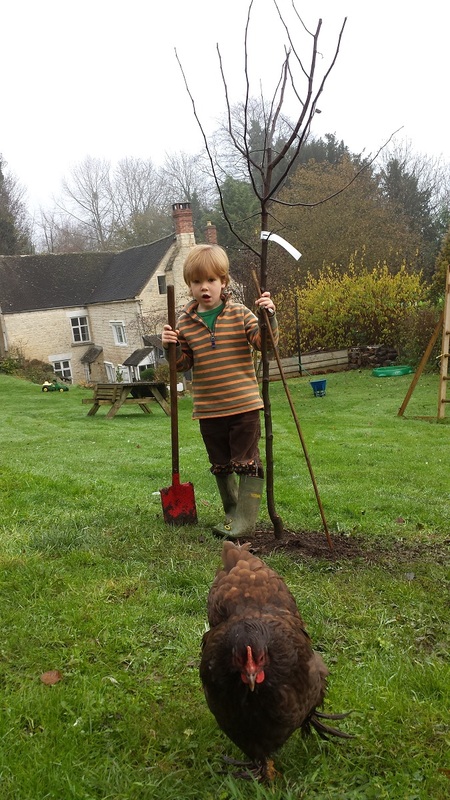 Buy Meechs Prolific Quince trees for sale online FREE DELIVERY from UK suppliers of garden fruit trees. Like all Quinces, Meech's Prolific (Cydonia oblonga 'Meech's Prolific'), which was first introduced in the United States in 1880, has fruiting and ornamental qualities producing large subtle pink flowers and very large, pear-shaped fruit. 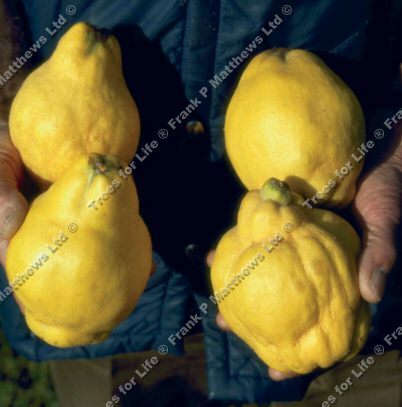 The Quinces are yellow when ripe. The Meechs Prolific Quince tree is also a tip bearing variety. This does not mean to say you can ask it which horse is going to win. It means that most of the fruit buds will be at the ends of the shoots which you need to be aware of when pruning. Meechs are also known for their heavy flowering and cropping characteristics. Due to the high amount of flowers and therefore pollen, Meechs Prolific is also a good pollinator for other Quince trees. All our Meech's Prolific have a high resistance to disease. This is not because we feed them vitamin suppliments or send them out running every day, all Meechs Prolific quince trees have this quality. Due to recent UK resident Americans whinging/whining/moaning/just saying (delete as appropriate) at our anti-American satire we have decided to amend the up and coming comment......by making it more prominent. Due to the time it has spent in America, you may find this tree eats until its trouser size has more X's in it than a teenage love note and invades/forcefully visits/coincidentally sends thousands of troops on holiday (delete as politically correct) to oil rich countries. Should this cause upset or distress to any other Americans living in the UK, our best advice is to CALM DOWN Dear. This Quince tee is supplied in a pot and can be planted any time of the year and with better results than either bare-root or rootballed trees. All of these are usually supplied as 2-3 years old, grown on Quince A rootstock (ultimate height around 3.5 metre) Half Standard shape which means they have a rounded head so they look a bit like a lollipop shape. If you are not happy to have minor variations in what will be supplied please specify at checkout. These would be the shape e.g. bush instead of Half Standard, pot size e.g. 7 litre instead of 12.